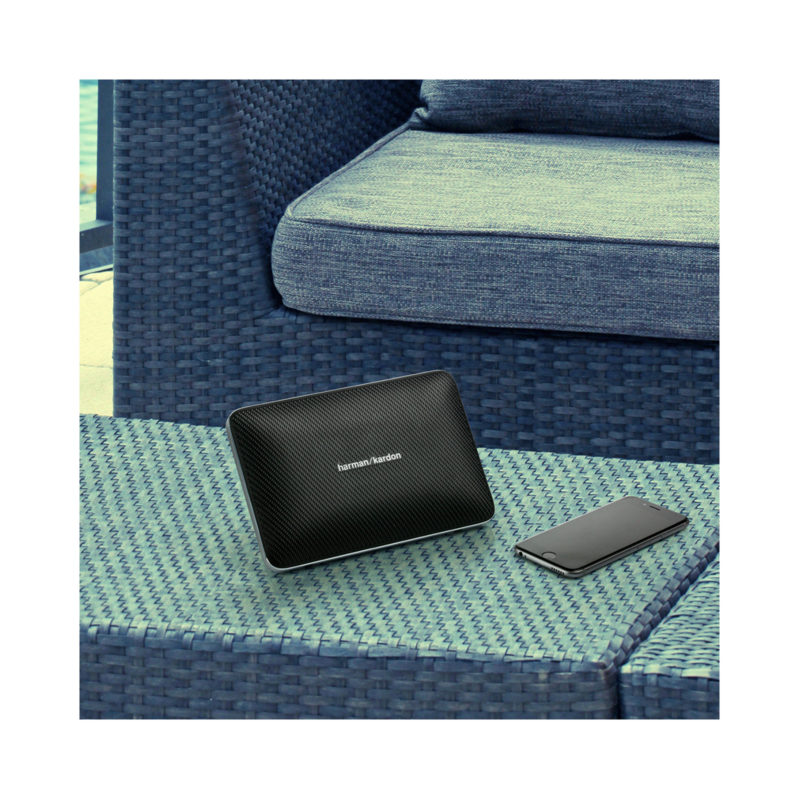 Wirelessly connect up to 2 smartphones or tablets to the speaker and take turns playing rich, high-end music. 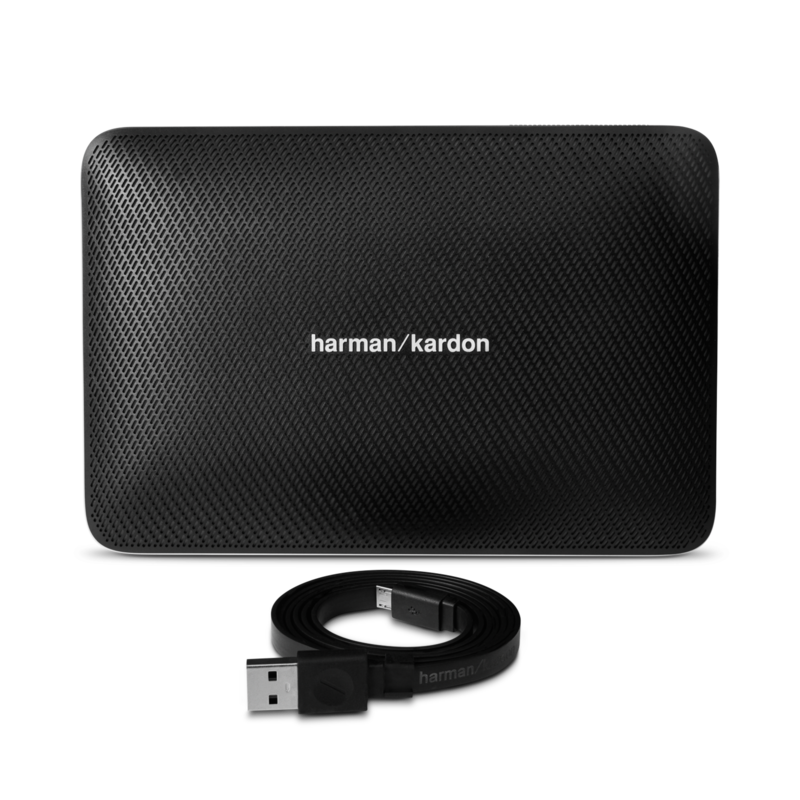 Built-in rechargeable Li-ion battery supports up to 8 hours of playtime and charges devices via the USB port. 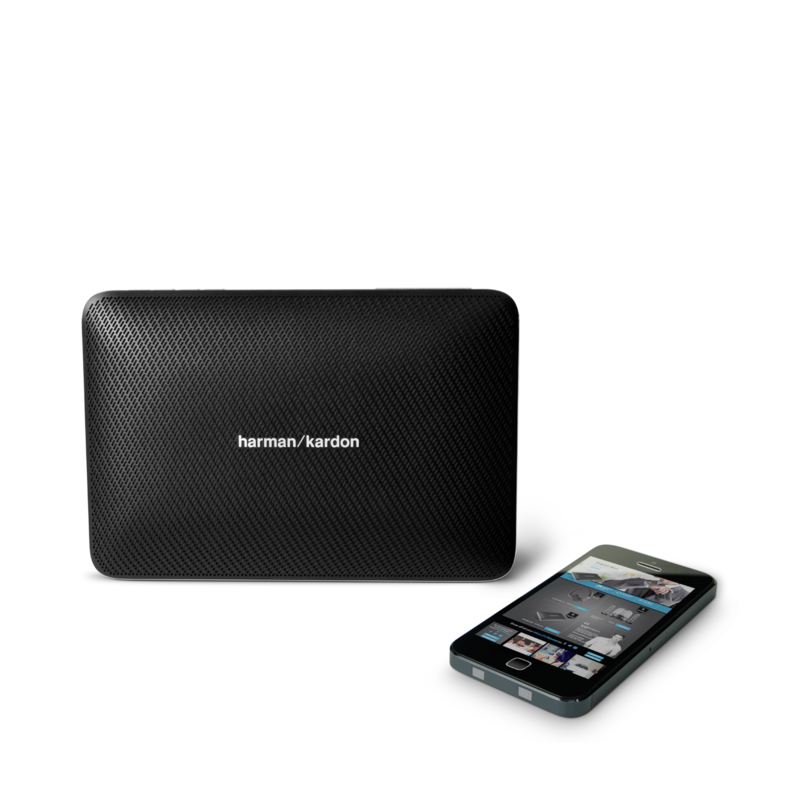 Harman VoiceLogic noise and echo cancelling technology delivers 360 degree voice pick up for crystal clear conference calls. 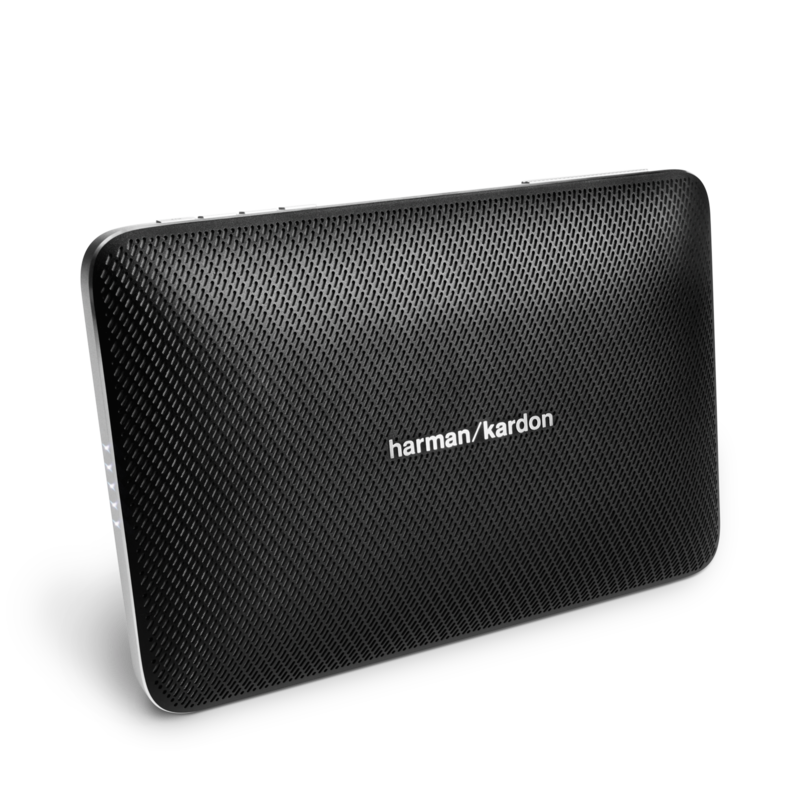 The Harman Kardon Esquire 2 portable Bluetooth speaker is the centerpiece of master craftsmanship and performance, blending premium materials with the needs of on-the-go professionals. Esquire 2 delivers rich high-end acoustics by incorporating advanced acoustic engineering into 4 professionally tuned sound drivers. 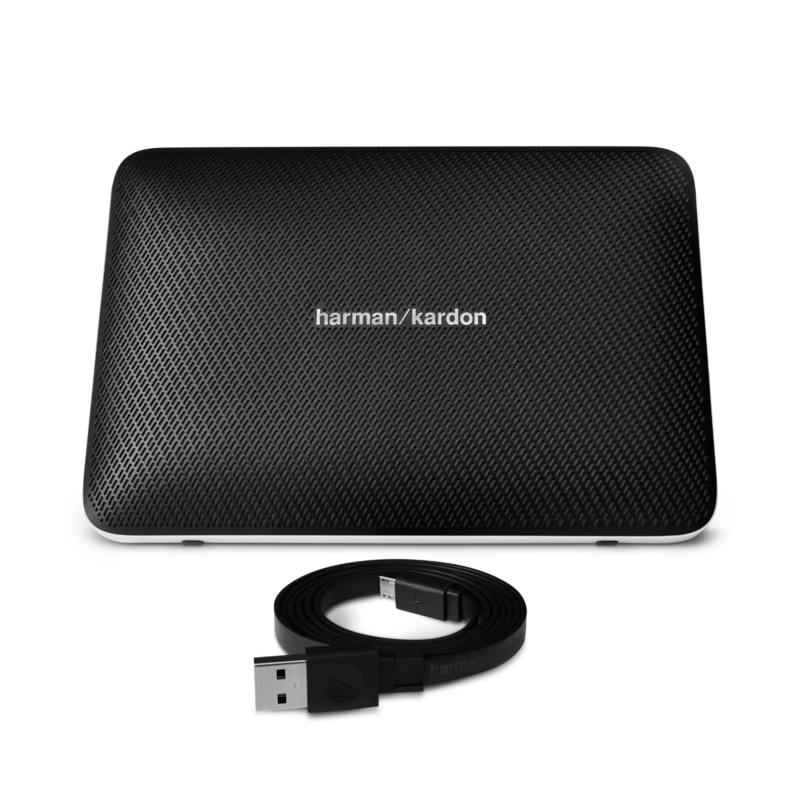 Its rechargeable battery supports up to 8 hours of playtime and USB charge out to ensure that travelling professionals never run out of power. 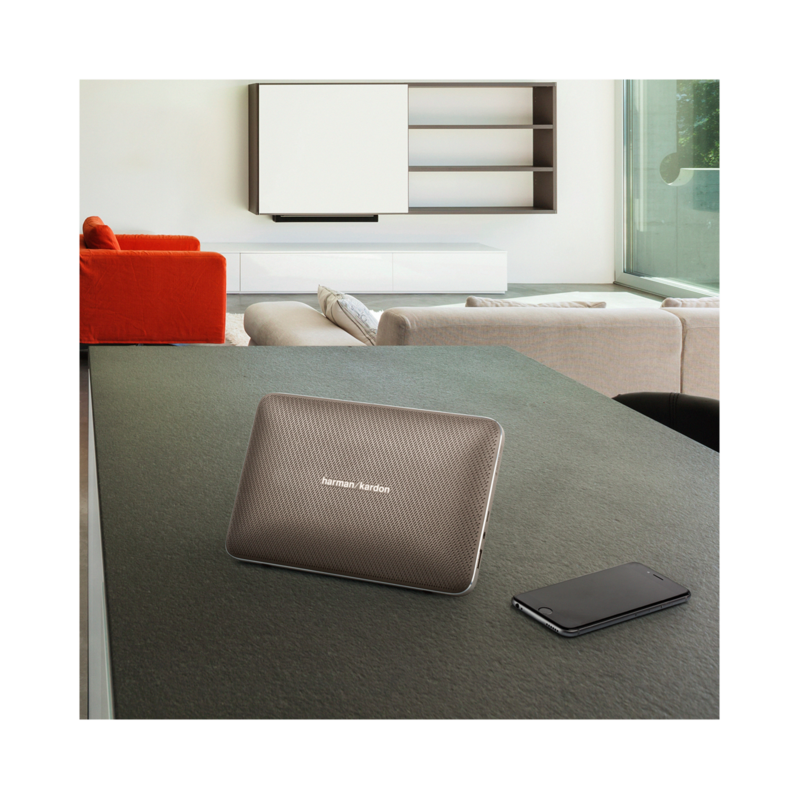 The Esquire 2 also features an unparalleled conferencing system; underneath the aluminum unibody design embedded with quad-microphone VoiceLogic noise and echo cancelling technology with 360-degree voice pick up for crystal clear conferencing experiences - even in the noisiest places. 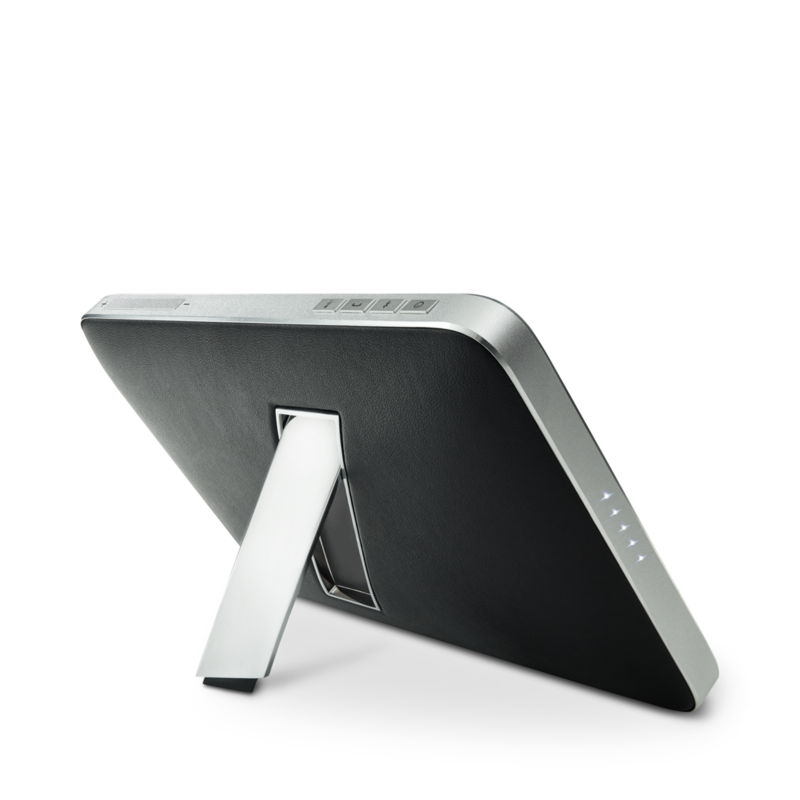 Esquire 2’s slim form factor and lightweight design effortlessly slips into a suitcase or handbag, but also makes its presence known when placed center stage in a conference room. Esquire 2 is rated 3.8 out of 5 by 45. Rated 5 out of 5 by Dede101 from sounds great My son bought this for me and I love it. I take it from room to room. Rated 5 out of 5 by Vick from Very good. Excellent sound quality, excellent design. Excellent phone future - in doors. Great batarie. Typical HK excellence. While carrying in case the On/Off button is going on and off all the time. Hold bottom of case and place speaker bottom first. Zippers end on top of case, on top of buttons in the middle. Carry case from the bottom so buttons are on top. Rated 5 out of 5 by DatNguyen from Great features I bought this two weeks ago and sound great and clear! No, the HK Esquire 2 does not the capability to connect to another speaker. What it can do is connect up to 2 smartphones or tablets to the speaker and take turns playing music. If you have questions or concerns, please submit a case request at https://www.jbl.com/support-contact.html and the Customer Service Team will be more than happy to assist you. Hello, my battery is losing her charge in less than 2h, can I do something? You can use the learn remote feature of the Sb 16 that allows you to control the power, volume and, input source commands. For further information, please check on the Owner's Manual or contact us directly. Do refurbished items come in a brown box or the regular retail box? Hi! Yes, re-certified items come in a brown box. There is no way to disable the power saving feature. This feature is specifically designed to protect the battery. No, this cannot to the Onyx Studio 4. The Onyx Studio 4 can only connect to another Onyx Studio 4 at this time. Hi! 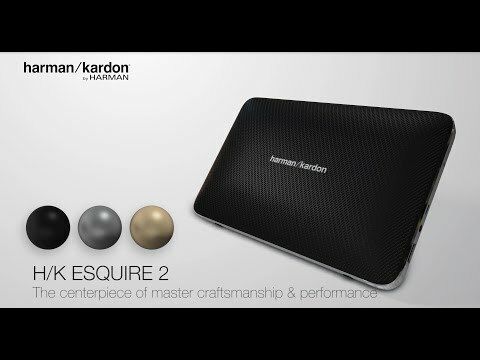 The Esquire 2 has a&nbsp;Quad microphone conferencing system. However if you are asking if it has a mic input, the answer is no it does not. My sb 16 works for a about 20-30 mins and then the speakers &nbsp;will make a loud &ldquo;pop&rdquo; and the soundbar goes to standby mode. I have noticed the back gets very hot. It will not turn on until after a long period of rest and then the same problem cycles again. We would like to work with you directly to help you with your issue. Please submit a case request at https://www.harmanaudio.com/support-contact.html and the Customer Service Team will be more than happy to assist you.